It’s another fun and exciting weekend in Baltimore, with events, food, and drinks to look forward to. Actually, it has become a norm and tradition for both Baltimore locals and tourists to have some little, sometimes big events every weekend in the city. 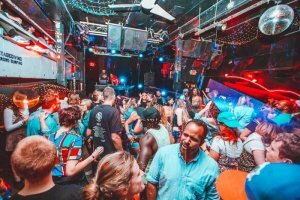 Rodlyn-mae Banting with Kaitlyn Pacheco compiled the list of best things to do in Baltimore this weekend in their article at Baltimore Magazine. Check out the list below and choose the event you’ll attend. Forno, 17 N. Eutaw St. 4-10p.m. Free. It may be Italian restaurant and wine bar Forno’s fifth birthday this Friday, but you’ll be the one getting all the gifts. Wine and dine the night away at this theater-district favorite with all-night happy hour specials, complimentary small bites, whiskey samplings, and plenty of their signature brick-oven pizzas to go around. Who said adults can’t have fun at a kid-aged party? Relax, you’re not seeing double . . . at least not yet. This St. Paddy’s Day celebration is a week early, but that won’t stop dedicated locals from hitting the pavement for this 18th annual bar crawl to eight boozy stops across Canton. With drink specials starting at $3 at favorite haunts like Southern Provisions, Claddagh Pub, and Walt’s Inn, this drink-until-you-drop stroll is a true weekend pot of gold. MAXgallery, 126 N. Madeira St. Fri.-Sat. 2-5 p.m. Free. Mexican poet and diplomat Octavio Paz once said, “Reality is not what we see, but what we discover.” This weekend, head to MAXgallery in Butcher’s Hill to be one of the first people to experience Reality Bites, a bold exhibition that pays homage to abstraction in painting. While the paintings will be on display until the end of the month, stop by the opening reception on Sunday afternoon to get a first look at works by artists like MICA professor Dan Dudrow and multi-discipline Israeli artist Shaul Tzemach. Perfect place to relax after a full week of stress from work. This weekend is also Forno’s fifth birthday, so expect some wine and dine from this awesome restaurant. If you’re looking for some drinks, O’Donnell is the place to go. Next on our list is one of the most looked-forward-to events in Baltimore, the St. Patrick’s Parade as well as other events like Divine Brunch, Raindeer’s record release and so much more. The Eds of Baltimore Fishbowl compiled the best places you must go to Baltimore during these events. This weekend, step out into the streets for a jump start on St. Patrick’s festivities, or check out the city’s up and coming secondhand stores. Plus, art openings, readings and a dig through a trash wheel dumpster. International Women’s Day: 5 p.m. at Topside: Toast the women who make life great at the top of the Hotel Revival. Wine specials all night. Masarap Pop-Up: 5 p.m. Friday and Saturday at Fadensonnen. Chef Rey Eugenio serves up Filipino food at the beer garden and wine bar. Hillbilly Gold Release: 6-9 p.m. at Checkerspot Brewing Company. The South Baltimore brewery debuts an early 20th century-style pilsner. At 7 p.m., Maureen O’Prey will discuss the history of the Bauernschmidt brewing family after whom the new beer is modeled. Adam Rosenblatt: Reclaimed Timber: 6:30 p.m. at Creative Alliance. The resident artist performs a percussion piece from Michael Gordon composed for six pieces of wood. “Mad Men” Television Writer and Producer Jonathan Abrahams: 7-9:30 p.m. at the Centre Theatre. The Hopkins alum and writer and producer behind other shows such as “Raising the Bar” and “Perception” discusses his career in television. #BmoreSecondHand Thrifting Tour: 10 a.m. at Tightfisted Fashion. The free event heads to five of the city’s boutiques and pop-ups. Trash Wheel Dumpster Dive III: 10 a.m.-1 p.m. at Baltimore Community Toolbank. Healthy Harbor, Volunteering Untapped Baltimore and Baltimore Community ToolBank team up to document what’s being collected by Mr. Trash Wheel and his counterparts. Divine Brunch: 11 a.m.-3 p.m. at Pen & Quill. To mark the release of Union Craft Brewing’s Divine-inspired IPA, the brewery and restaurant are teaming up for (what else?) a drag brunch. Scheduled to perform are Bambi Galore, Brie DeVine, Shaunda Leer, Iris Honeydew, Afrodite Wintour, Virya Shavasana and Nikki Coxx. 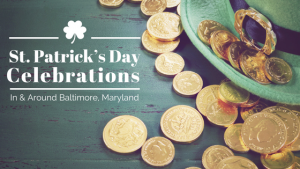 Everyone in Baltimore always looks forward to the St. Patrick’s day event for this event brings a lot of fun and excitement not just for the locals, but for tourists as well. This is the time where lots of people step out into the streets for a jumpstart and joining the festivities, etc. More from St. Patrick’s Day celebration in Baltimore this weekend according to Hirschfield. Read below to know about the event in and around Baltimore. It’s no secret that Baltimore, Maryland has some of the best breweries around. So what better way to celebrate Saint Patrick then by crawling the best pubs with the best Irish brews? Make new friends, enjoy discounted drinks, and get your luck of the Irish on! Just remember these events are for individuals 21 years and older. Head over to O’Donnell’s Square between 1:00 pm and 6:00 pm for registration. Then, get your barhop on! Make your way through Canton’s top bars, pubs, taverns and saloons serving specials like $3 Miller Lite, $4 specialty beers, and $5 mixed drinks. There are 8 bars participating in this event, including Claddagh Pub, Plug Ugly, and Looney’s Pub. Ticket Price: Starting at $10 Head to Annapolis, MD for a celebration of all things green! 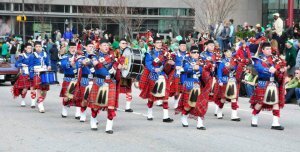 This year is the 5th Annual Annapolis Shamrock Stroll. Check in, register and enjoy a little live music at the City Dock from 10am-12pm. $10 will get you all features and a cool souvenir koozie. Proceeds to benefit Warrior Events and Annapolis Police Foundation. As mentioned, people in and around Baltimore are looking forward to the St. Patrick’s Day event. Also over the years, more and more tourists visit Baltimore to join the festivities. What’s even more amazing for this year’s celebration is that there are lots of businesses joined this year’s parade. With that in mind, we can actually say that this coming weekend is the best weekend ever in Charm City.